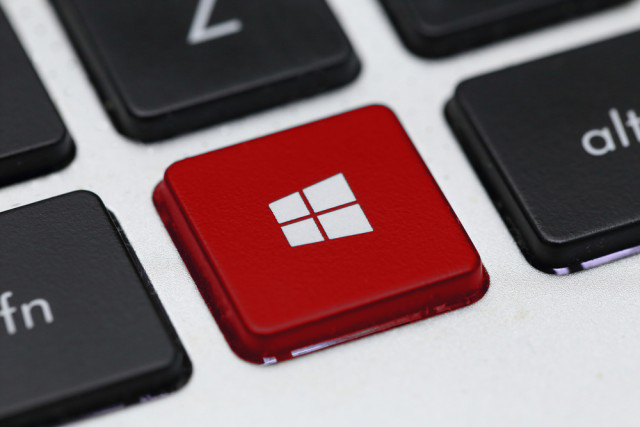 It’s been a couple of weeks since Microsoft last rolled out a new Windows 10 Redstone 5 build to Insiders on the Fast ring, but today the wait is over. In addition to new RS5 Build 17723 the software giant also releases a new build for Insiders who have opted to join (or rejoin) the Skip Ahead ring. Build 18204 is the first release on the 19H1 (Redstone 6) branch that will become the first feature update of 2019. Because these two builds have just split, they are largely the same -- as you might expect -- but this will change, going forward. So what’s new in the two builds? Well for users of Mixed Reality there’s a new Flashlight feature which lets users "open a portal" into the real world, so you can see what’s going on without having to remove your headset. It’s a pretty cool idea. In addition, there are the usual selection of Microsoft Edge improvements including some new Group Policies which include enabling/disabling full-screen mode, printing, favorites bar, and saving history; prevent certificate error overrides; configuring the Home button and startup options; setting the New Tab page and Home button URL and managing extensions. The XSS filter is also being retired from Edge in this build. Elsewhere, there have been improvements made to Time Accuracy and Traceability, with Leap Second support, precision time protocol and software timestamping. The Kiosk setup experience has been tweaked in the new build with a new assigned access configuration page in Settings that uses a wizard to walk users through the creation process. In the past, Microsoft Edge hasn’t been available in Kiosk mode because it, and third-party web browsers, need special permissions beyond those required by most Windows apps, but that also changes from this build. Finally, Windows will now try to intelligently work out when the best time to restart your system is following an update, which means it should recognize if you’ve just temporarily stepped out for a short while, or finished for the day. Fixed an issue resulting in the "…" menu not working in multiple apps (including Microsoft Store, Photos, and Screen Sketch) where clicking on any of the items would just make the menu dismiss. Fixed an issue where in certain cases on PCs with multiple monitors, all the windows might have appeared shifted "up" and mouse input going to the wrong location. Fixed an issue where SNMP and the Windows Event Log service might start using an unexpectedly high amount of CPU in the last flight. Fixed the issue with Windows Defender Application Guard no longer working after installing the Build 17713.1002 Cumulative Update. Fixed an issue from the last flight where upon rebooting in order to start upgrading to the build, the system would boot back into the current build rather than the new one. Fixed an issue resulting in upgrades to the previous build failing with error 0x8007001f. Fixed an issue from the previous flight where Window Recovery Environment (WinRE) would not launch and resulted in "Reset this PC" and "Advanced startup" flows to be broken and appear to do nothing. Fixed an issue from the flight before last (not visible in the last flight due to the aforementioned bug) where "Reset this PC" would initiate and rollback without completing the intended reset. Fixed an issue resulting in some laptops experiencing a CRITICAL PROCESS DIED bug check when the PC was put to sleep by closing lid and the connected power disconnected. Fixed an issue resulting in ShellExperienceHost.exe crashing when trying to pin apps to Start Menu via drag and drop. Fixed an issue where .mkv files were using a generic app icon in File Explorer instead of a thumbnail. Fixed an issue where suggestions on the main page of Settings would appear after a delay, making the Settings categories shift unexpectedly. Fixed an issue where Notification Settings listed every possible quick action in the enable/disable quick actions section, even those not applicable to the PC being used (including two Focus Assist entries). Fixed an issue where the systray overflow area could end up drawing slightly below the taskbar. Fixed an issue resulting in the network state in the taskbar potentially becoming stale in recent builds (showing there was no connection when there was, and vice versa). Fixed an issue where pinging PCs by name on the same LAN would do a case-sensitive name check. Fixed an issue where using v6v4tunnel to establish a tunnel didn’t work. Fixed an issue in Command Prompt from the previous flight where if a typed string wrapped around to a second line, you could only delete it up to the line break. Fixed an issue resulting in Task View / Timeline crashing on launch for some Insiders in recent builds. Fixed an issue where right-clicking an activity in Timeline was missing the "clear all from day" option. Fixed an issue where sometimes you would see windows unexpectedly quickly reorder after exiting Task View without selecting a window. Fixed an issue from recent builds where the clock in the taskbar was leaking graphics device context handles (HDCs) every time it redrew, leading to performance issues the longer a PC was running. Multiple factors can impact performance, so if you’re continuing to notice any issues after upgrading to this build, please log feedback including a performance trace with a short repro and description. Fixed an issue resulting in not being able to distinguish the border between two overlapping Command Prompt windows. Made some tweaks to the design of the Cortana & Search landing page, specifically in situations where Cortana isn’t enabled/supported. The settings menu in Microsoft Edge ("…") is now acrylic. Fixed an issue that could result in Microsoft Edge spellchecking even though spellchecking was turned off in Settings. Fixed an issue where using the mouse wheel in Microsoft Edge would unexpectedly do a forward/back through browser history if focus was in the address bar and "Scroll inactive windows" was disabled. Fixed an issue where when using certain sites to listen to music in Microsoft Edge, your mouse might experience a small freeze if moving when the song changed. Fixed an issue resulting in apps like Adobe XD crashing on keypress in recent flights. Fixed an issue that could result in a deadlock on certain devices after using the pen to ink. Fixed an issue where the touch keyboard would still have a launch animation even if "Show animations" was turned off in Ease of Access Settings. Fixed an issue where launching regedit.exe (or any .exe that requires elevation) from a non-elevated cmd window using the "start" start command produced a "parameter is incorrect" error. Fixed an issue where the error "Your fingerprint couldn’t be recognized. Try using a different finger." was displaying unexpected characters in place of the apostrophe. Microsoft is progressing in its work on adding dark theme in File Explorer and the Common File Dialog -- you’ll notice improvements in this build, although there are still a few things left to do. You may see some unexpectedly light colors in these surfaces when in dark mode and/or dark on dark text.